After the death of Baudelaire on August 31, 1867, the rights to the poet's work reverted — ironically enough, given his relationship with her — to his aging mother. 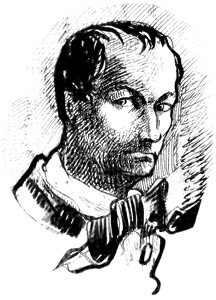 His friends, however, were not content to allow Baudelaire to fade into nothingness, and thus induced his mother to allow them to produce a comprehensive edition of his works. Subsequently, Baudelaire's close friends the poet Théodore de Banville and the bibliophile Charles Asselineau sold the rights to his complete works to the publisher Michel Lévy. The complete works were to include Les Fleurs du mal, Les Paradis artificiels, Baudelaire's translations of Edgar Allan Poe, as well as prose poems, art criticism, and miscellaneous writings. In December 1868 the third edition of Les Fleurs du mal — volume 1 of the poet's complete works — went on sale in Paris. Along with an introduction by the poet Théophile Gautier, this new edition contained all the poems of the 1861 edition, eleven poems from Les Épaves, plus a few others. (It lacked, however, the six poems censored from the first edition, since these were still illegal to print in France.) This 1868 edition was the only one authorized by Baudelaire's estate until his work fell into the public domain in 1917. However, though Banville and Asselineau meant well in assembling and editing the work, scholars today generally disagree with some of the choices made by the two friends, in particular with several of the poems they chose to include and with the way in which these poems altered the "secret architecture" of the 1861 edition. Poems added to the third edition are indicated below by red guillemets like this ».